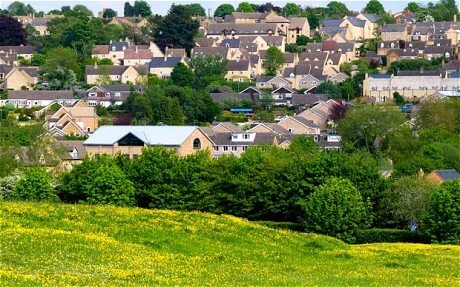 The past few months have seen furious public debate about planning reform in England. Here [pdf] and here [pdf] are two new papers on the economics of planning, written by me and SERC Director Henry Overman. Versions were also submitted to the National Planning Policy Framework (NPPF) consultation last month. The papers pull together SERC research on planning, alongside wider evidence (paper 1) and assess the Government’s proposals for planning reform (paper 2). Henry and I don’t agree on all of this – I’m certainly more pro-brownfield than he is – but we both felt that important pieces were missing from the recent public conversation. 2) Planning’s economic effects, especially the costs of the status quo, have been underplayed in recent debates. We summarise evidence strongly showing current rules increase house prices and volatility, increase office rents, probably lower retail productivity and lower employment in small independent shops. 3) Paradoxically, land restrictions in the most popular areas have led to some truly unsustainable development – such as selling off school playing fields for housing. Similarly, brownfield-first policies have delivered some positive benefits for cities like Manchester, but aren’t a panacea. 5) We agree with the National Trust and others that there’s a basic tension between Government’s desire for localism and some important national objectives. Ministers need to be clearer about what trumps what, or (more in keeping with localism) provide stronger incentives to align interests. 7) Current incentives to ramp up housebuilding, such as the New Homes Bonus, are probably too weak and need to be strengthened. And one-size land restriction policies (such as town centre and brownfield first) don’t work well in practice. Rather, we suggest Whitehall sets the appropriate framework to try to encourage particular patterns of development but then allows local authorities to develop their own land use restriction policies. This entry was posted on	November 6, 2011 at 4:01 pm	and is filed under cities, demographics, economics, housing, infrastructure.